Are you voting for Pedro? Are you good with a Bo staff? Is your favorite animal a liger? Do you like to take your bike off sweet jumps? If you answered "heck yes" to any of those questions (and if you have any idea what those reference mean), then there's an event coming to San Antonio that will have you saying in a deadpan voice, "I want that." 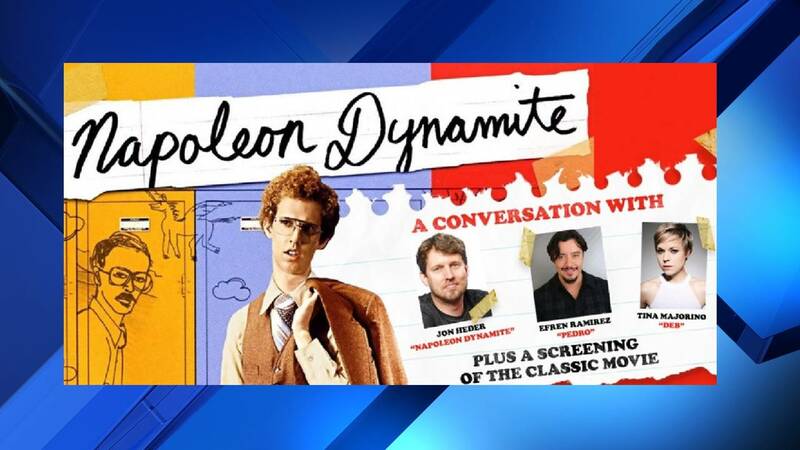 Napoleon, Pedro and Deb are coming to the Tobin Center in November for a screening. Well, technically it's the actors who played those characters in "Napoleon Dynamite." Tickets go on sale Friday for "Napoleon Dynamite: A Conversation with Jon Heder, Efren Ramirez, and Tina Majorino." Ticket prices range from $29.50 to $135. The most-expensive tickets include prime seating and a meet and greet. The evening includes a screening of the movie followed by a moderated conversation with the movie's stars. Don't forget to make yourself a dang quesa-dilluh or get some tots before you go, we'd hate for you to be freakin' starving!